Happy Valentine’s Day week! What’s more romantic than chocolate, candy, and cards? Lectures. So, come on down to Zankel tomorrow at 7pm with that person you’ve had your eye on since freshman year but never built up the courage to ask out. Good thing you both read The Kite Runner in high school – I see a lasting relationship for the two of you. 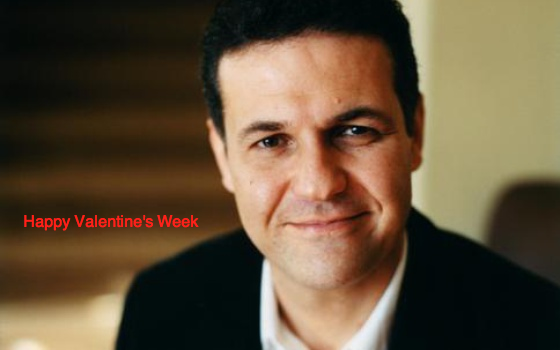 Tomorrow night Khaled Hosseini, the author of the Kite Runner, will be lecturing. Khaled Hosseini is the bestselling Afghan born American author of The Kite Runner, A Thousand Splendid Suns, and And the Mountains Echoed. A fun fact about The Kite Runner: It was published in 2003, immediately becoming an international bestseller. The novel was published in 70 countries, however, never in Afghanistan. While this event is sold out, it will be simulcast in Gannett, Davis and Emerson. Thanks to Saratoga Reads and Skidmore Speakers Bureau, this is an incredible opportunity you don’t want to miss.